James Innes, fishcurer of Lybster, drowned at Lybster harbour 12th October 1829 aged 51. Son James Innes died 4th September 1838 aged 20. Wife Marjory Innes, innkeeper of Lybster, died 23rd July 1869 aged 100. Son John Innes of Swiney died 13th Febuary 1884 aged 84. Wife Williamina Ross died 3rd May 1879 aged 72. 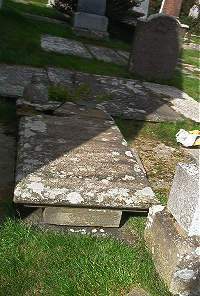 This grave not to be opened without permission of James Innes Liverpool or heirs.